Cristiano Ronaldo has revealed that he had been a bone marrow donor since he learned of the problem faced by the son of Portugal teammate Carlos Martins in 2011. 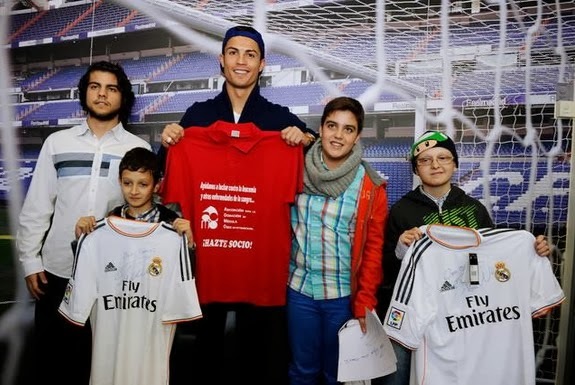 The Real Madrid star was speaking to Spanish radio station Cadena Cope at an event to urge people to become bone marrow donors to help leukemia patients. He said: "I've been a bone marrow donor for several years. "It was the time when Carlos was with us on the national team. He told us about the problem with his son and we, the players, showed great unity to help him and his son because we knew it was a very complicated situation. "(Donating bone marrow) is something a lot of people think is a difficult thing to do but it's nothing more than drawing blood and doesn't hurt. "I did it many years ago and if I had to do it again I would because this is a very serious disease for many children and we need to help them. "There's no age limit to this problem, so I think it's a good time to tell people they can do it. "It doesn't cost anything, it's a simple process and then you feel happy because you know you are helping another person."